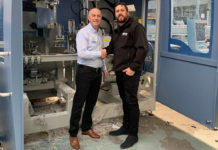 As part of its ‘ongoing quest to make joinery production quicker, easier and more efficient for both the small or large-scale operator’, Mighton Products recently launched its own-brand range of machinery and has reached out to its customers for their reviews on the range. 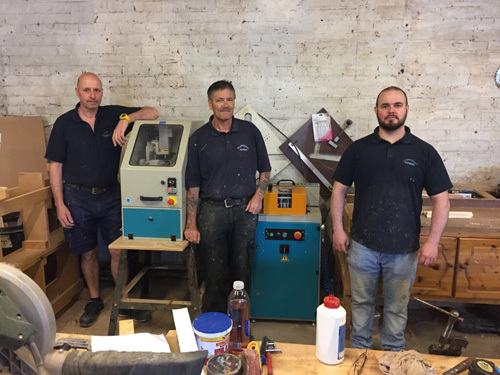 Gateshead based joinery specialist, Claremont Joinery, purchased both the Mighton X-Cut and Scribe-It machines and was quick to praise the speed and accuracy of cut the machines gave. A spokesperson said: “We purchased the machines three months ago as we wanted to improve the ease and speed of production without compromising on accuracy, and I’m pleased to say there isn’t any aspect of the machinery we would change. 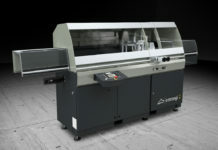 The semi-automatic Scribe-It machine is designed to scribe the end of timber profiles quickly and efficiently, increasing throughput and efficiency. The machine can complete a full cutting cycle in just 15 seconds and is compatible with any profile up to 45mm wide and 35mm deep. Using two cutters the machine allows for the shaping of the bead to be done in two halves and this method safeguards against issues such as the bead splitting or spelching at the end. 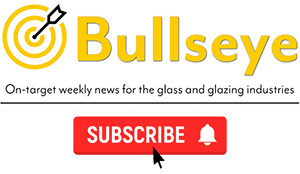 Producing ‘perfect’ cross-joints on glazing beads, the semi-automatic X-Cut joint cutting machine comes complete with tooling to suit the timber profile of the user’s choosing. Accurate and consistent, it allows for simple tool change and no lengthy manuals mean it is simple to set up and easy to operate. The machine is adjustable to accept bead profiles measuring from 9mm to 19mm in height and 12mm to 38mm in width and any lengths over 500mm can be used with the option to add extending arms. 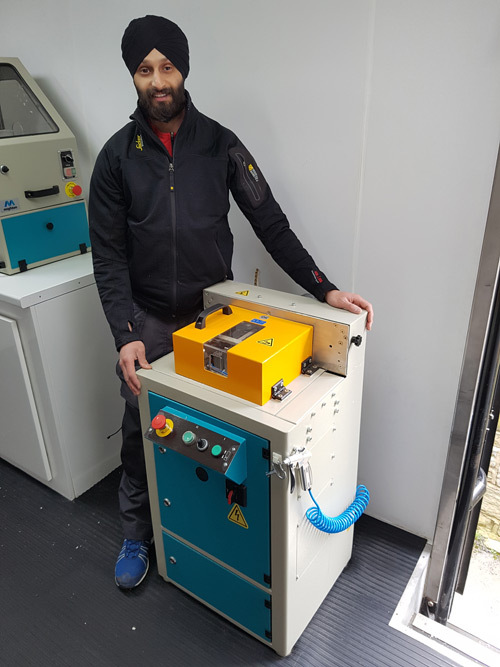 Taking advantage of a visit from the Mighton mobile demonstration vehicle, Claremont says it was able to see the machines working before purchasing. The demonstrations give customers a live demo with a Mighton expert, seeing first-hand how to get the most out of a potential purchase and ask any questions they may have. 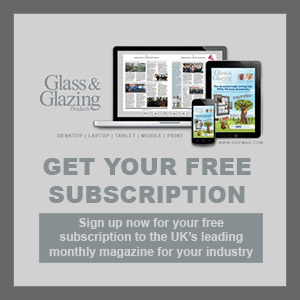 There is also a choice of flexible finance options available, making both machines easily attainable for small to medium joinery companies. Claremont, which undertakes both domestic projects and contract work, has been purchasing hardware and machines from Mighton for over a decade, and is reportedly looking to using the company’s range of paints and coatings in the near future.